Darcy remembers the perfect love between his parents and believes it can be his. He trusts in destiny - with a little help from serendipity - to find the love of his life. Elizabeth, informed by the example of her parents' marriage, refuses to believe in destiny. The concept of serendipity is an affront to her logic. She will not marry except for true love and thinks she can control her own fate if she is very cautious. 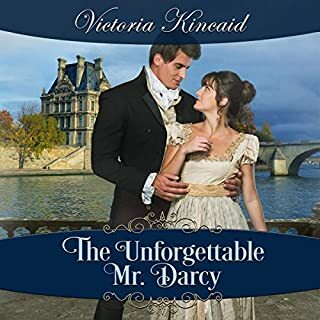 Will she and Mr. Darcy find their happily ever after? I got this book via audiobook boom. This was not my favorite version of Darcy and Elizabeth's story. The narrator was very good and kept the story moving along but I am not sure that Elizabeth's portrayal was to my liking. I like them both being themselves and society can just shove it. I think they work better when they have similar mindsets. 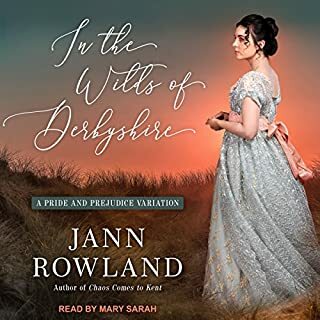 Silkstone, Darcy, and a twist: what's not to like? The publisher's blurb gives hints and there is no need for spoilers, but that can't begin to prepare you for all the laughs! There is situational and verbal humor, a really interesting plot, and an even more devastating Mr Darcy! Jannie Meisberger is the fun narrator for this one, too. This is a unique and fun take on the well known Pride and Prejudice characters: Darcy and Elizabeth. Everyone thinks of Darcy as the logical one, but in this version, Elizabeth is the logical one. Darcy believes they are meant to be together after their first bumpy encounter. Elizabeth believes in getting to know someone before making any lifelong commitments. 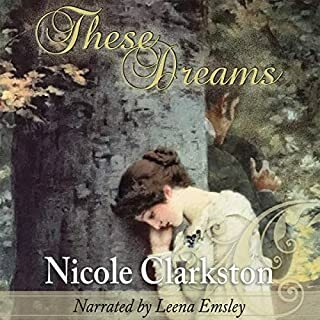 I enjoyed listening to this fun audiobook. This audiobook was given to me for an honest unbiased review. This was cute and lovable. a whole new way to incorporate Jane Austen's original work, in a different plot. This reminds us that Serendipity s out there, even in this modern time, fate or serendipity is more then an abstract concept. Loved the role reversal, where the man believes in happily ever afters, and the woman does not. I just love Pride and Prejudice variations. I've read a bunch of em. This made it to one of my favorites. It's very upbeat, easy and fun to listen to. I really enjoyed it. The narration was well done and enjoyable. Pride and Prejudice meets Fifty First Dates. I absolutely love a fun retelling of an old favorite. Darcy and Elizabeth Serendipity, is quite a different story then the original. Darcy and Elizabeth still go on a journey together, it's just a very different adventure. If you enjoy the movies, Fifty First dates and Groundhog Day, then this might be just the book for you. Poor Mr. Darcy looses his memory in an accident. Although he is the one who is injured, you might find yourself feeling more sympathy for Elizabeth. Elizabeth is bound and determined to keep a level head, and only marry someone she knows well. Mr. Darcy is a hopeless romantic who believes STRONGLY in destiny and fate. I enjoyed it. the story was well written and the narrator spoke well. 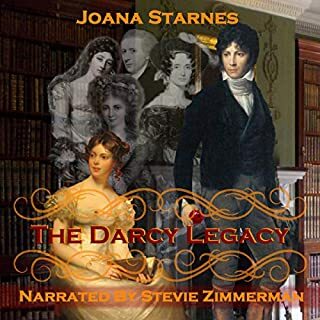 Would you consider the audio edition of Darcy and Elizabeth Serendipity to be better than the print version? I can't say it's better, I enjoyed both of them very much. What other book might you compare Darcy and Elizabeth Serendipity to and why? Mrs. Silkstone's writing stile is difficult to compare to another book. It always has a touch of comedy. A great performance, very clear, pleasant voice, perfect pacing. What if you take a beloved classic novel and tweaked the story and the characters just a bit? Perhaps make certain characters a little more intelligent, some more likable and others more catty. Barbara Silkstone has done just that. In this version, Mr Darcy is more communicative, Mr Bennett has more of a backbone, Mrs Bennett has darker and more catty intentions, Lydia is more intelligent and redeemable, and Mr Collins is just as socially awkward but slightly more intelligent and infinitely more likeable. Yet, there are incidents and phrases that you can recognised from the original Pride and Prejudice story by Jane Austen. And that makes it all more fun! Jannie Meisberger does a wonderful job of bringing the story and characget a to life. She remains in period context through the narration, which I personally appreciate very much. Overall, a fun and interesting take on Pride and Prejudice. I love pride and prejudice, so I thought I will give this a go. It had moments where I thought that might actually happen and other moments where I did not believe they would do such a thing. The story does go like pride and prejudice but with what if this happens. So instead of Darcy disliking Eliza at first, what if he falls instantly in love with her when he first sees her. This is what the book is about. There are a lot of similarity and difference between this and the original book. I loved Darcy in this even though he is more softer then the original. However I did not like Eliza to begin with. I found her to be really stubborn and naive, which is understandable but I expected her to take on board what others tell her. The book is OK but I prefer the original more. I would still recommend it to those who love pride and prejudice. It is still an interesting read. The narrator was a good choice for this book however, some characters did sound similar when others sounded differently. I liked how she voiced lady Catherine de Bourgh and Mrs Bennet. Do you think Darcy and Elizabeth Serendipity needs a follow-up book? Why or why not? I love follow up books. It is interesting to see what authors/other people think what would happen next. What did you like most about Darcy and Elizabeth Serendipity? 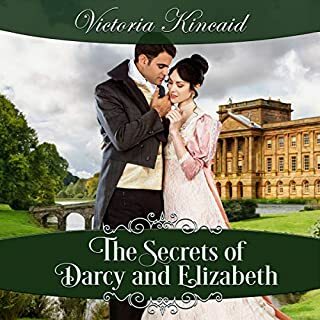 I liked that in this version of the story right from the beginning we saw that Darcy loved Elizabeth and we were kept in the loop all the way through. We saw into their hearts and into their thoughts so were very involved in what was going on. What was one of the most memorable moments of Darcy and Elizabeth Serendipity? I think their meeting was memorable because Darcy was so smitten with Elizabeth. Everything he felt and would feel was there in that one moment in time. It was so beautiful, something that few people would ever feel. The touching of two souls that were pre destined to come together. I felt very emotional reading this book, because this version was written to be more emotional than the original. Mrs Bennet in the original book was just a silly flighty woman. This time she was portrayed as selfish self centered and so Jelous of her husbands regard for Elizabeth that she was willing to ruin her life out of spite. All the characters who were not good in the original book were just a little worse this time. There hatefulness caused me to feel so sad. I did not feel that in the original book. The scene with Elizabeth and Mr Collins was a revelation. I felt guilty myself for all the times I had laughed at him. I will never look at him the same again. Now I see him as a nice man who just has trouble in social situations. It feels like I got a smack on the wrist along with the Bennet family! I never thought I could like anything but the original book but I have been proved wrong. That has really surprised me. I really loved this book so much, especially Darcy, I thought he was wonderful. Oh and I must not forget the magical fox, who charmed Elizabeth and showed her how soft and kind her Darcy could be.